Looking for great entertainment and fun on Norris Lake? 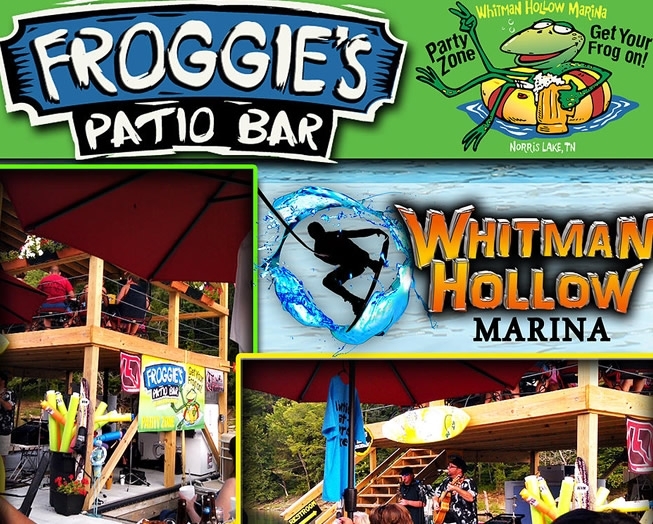 Try Froggie's Patio Bar at Whitman Hollow Marina in Lafollette, TN. The Party Zone is now serving your favorite cocktails and wines! Enjoy hot summer days on Norris Lake with live entertainment every Saturday during lake season!